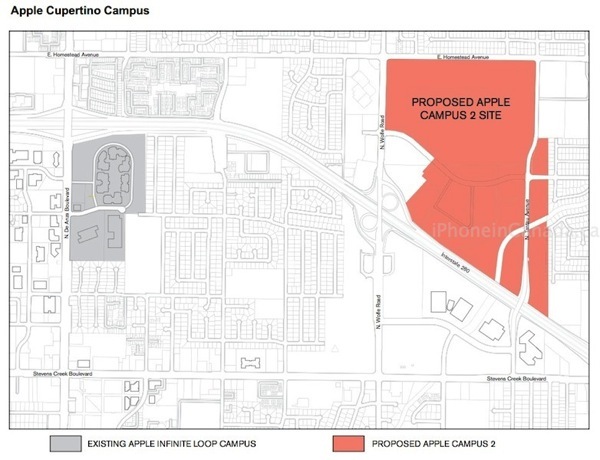 The City of Cupertino is the lead agency for the review and approval of the proposed Apple Campus 2.The public comment period on the DEIR began on Thursday, June 6, 2013, and ended on Monday, July 22, 2013, 5:30 pm PT. Comments submitted after this period will not be included in the Final Environmental Impact Report (FEIR). The FEIR, including comments submitted during the public comment period and responses to those comments will be presented to the Cupertino Planning Commission. The FEIR, along with Planning Commission recommendations, is forwarded to the City Council. There will be additional opportunity for public comment at the Planning Commission and City Council meetings to be scheduled later in 2013. Back in April, Apple distributed flyers to their neighbours in the surrounding project area to garner feedback on the Campus 2 project while also submitting their latest plans to the city, which revealed new renderings of bike lanes, paths and also highlighted additional parking spaces. In June, the company published an 82 page report detailing the economic impact of the project, which will add roughly 41,000 additional jobs to Santa Clara County and generate an annual surplus of $11 million to Cupertino. Apple Campus 2 is the legacy of the late Apple co-founder Steve Jobs, who personally presented the project proposal to Cupertino City Council back in the summer of 2011.